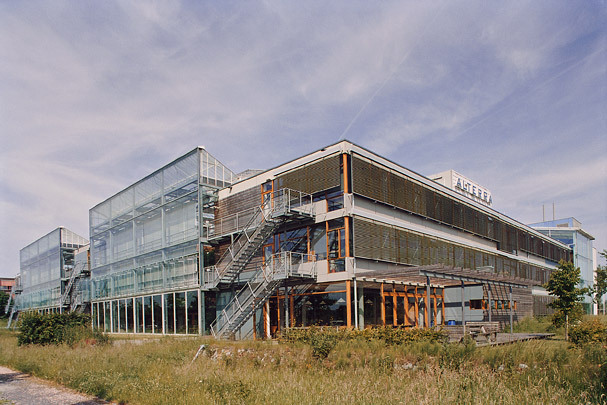 This centre houses a number of research institutes affiliated with Wageningen Agricultural University. The offices are grouped around two garden atria, with a spine of laboratories of various dimensions and heights on the north side. Three larger spaces (two conference rooms and the staff restaurant) lie along the street side in the south. The south-facing glass-roofed atria with terraces for working ‘out of doors’, are neither heated nor cooled; these gardens spaces act as a climatic buffer for the offices, whose walls accordingly are designed as external facades.